Still looking for an established and reliable company manufacturing and installing wooden patio doors at a reasonable price? Welcome to Solid Carpentry! We offer bespoke doors made from top-notch quality hardwood that won't cost you a fortune. 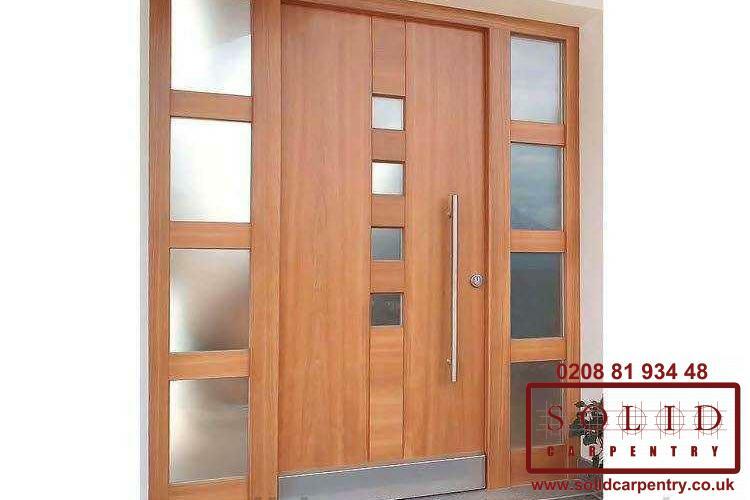 SolidCarpentry.co.uk is the only online destination you need to order wooden front doors in London! We're a reliable and experienced contractor providing professional carpentry/joinery services including front door installation, repair and replacement. As one of the leading carpentry and joinery contractors in London, Solid Carpentry provides a full range of related woodworking services, including manufacturing and installation of internal and external bespoke wooden doors. Are you looking for quality, beautiful and stylish sliding doors for your patio, garden or terrace entrance? Solid Carpentry specializes in manufacturing and installation of top-notch quality bespoke wooden sliding doors in London that won't cost you a fortune.